← 52 Weeks, 52 Runs. No. 14: Did someone say 10K? 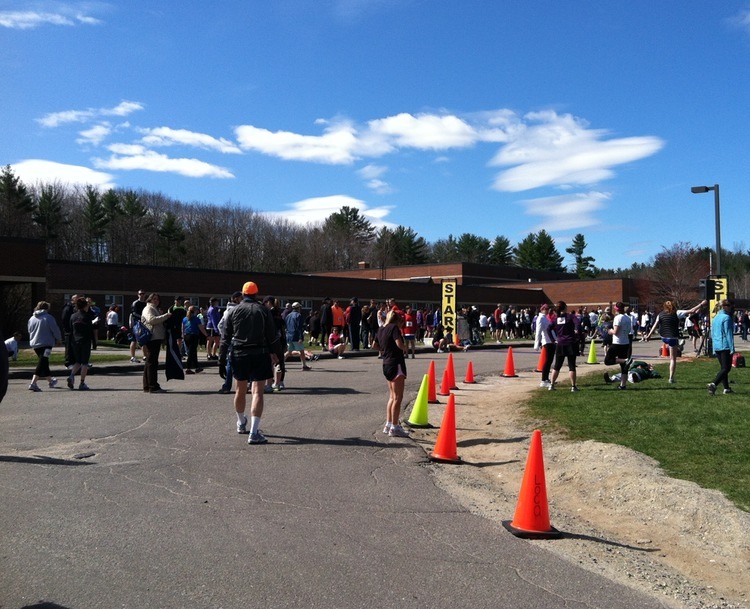 This weekend’s 5K had a tough act to follow. A duo of tough acts, in fact. My two most recent runs, the North Carolina motor speedway 5K and the Ukrop’s 10K in Virginia, were both brilliant, festive, flat, speedy, spirited events that left me with renewed enthusiasm for my 52 Weeks, 52 Runs challenge. During one I set a PR (yes, I talk like this now); and during the other I ran farther than I ever had before (with only a mild case of jelly legs). 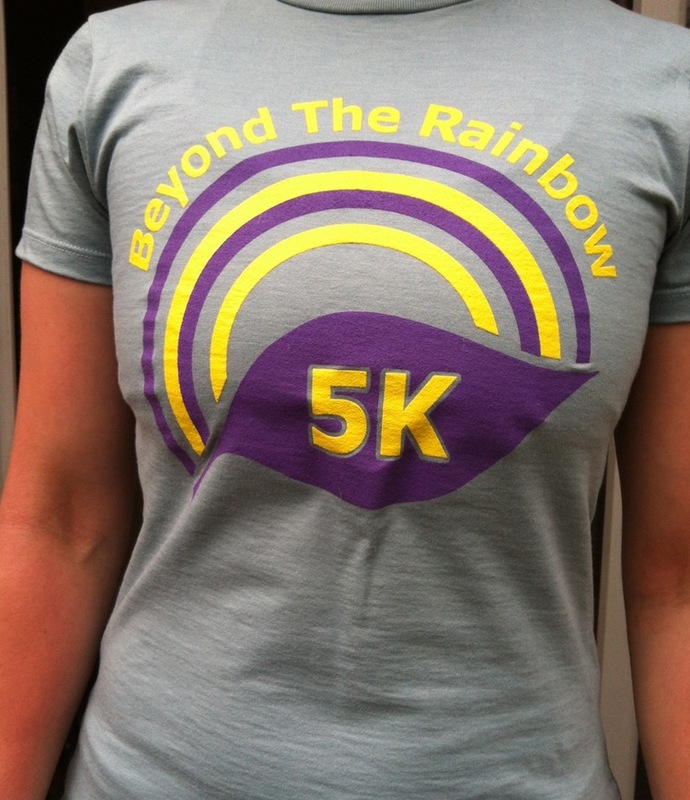 So the Great Bay Half Marathon and Beyond the Rainbow 5K in lovely Newmarket, New Hampshire, part of the wonderful-in-every-way Will Run for Beer series, had its work cut out for it. 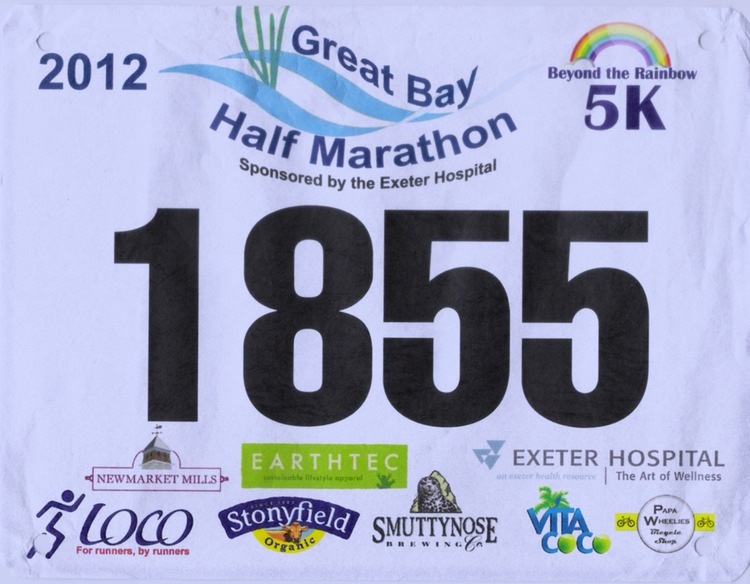 The innocuous start under lovely sunny skies at the Great Bay Half Marathon and Beyond the Rainbow 5K. No rainbows, though. The last two runs were so fabulously flat, I think I had forgotten that there are many hills in the world, and that they are all positioned to cause runners (OK, me) maximum discomfort. This run was not flat. And I was ill-prepared (which is slightly pathetic given how many of these suckers I have done). I love seeing all the runners stretched out in front of me. Although then I realize how far back I am, and I feel very slow. So when I hit the first hill of doom, I was gasping and panting and not at all willing to kill myself by running a steep incline. So I walked with some sadness. I was keen to improve my 5K time on this run; I figure if I can manage a 10K at a decent pace, a 5 was my chance to really show what I’m made of. Clearly, what I’m made of doesn’t do hills. This will not come as a shock to anyone. But I have discovered that for me to do really well, the following conditions have to be present: flat course; cool weather; zero headwind. 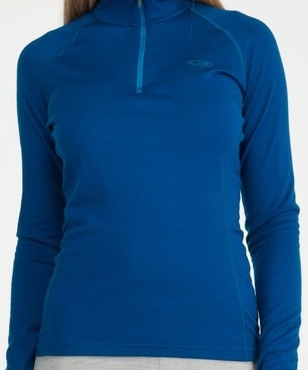 I am not a high-maintenance person, but I am apparently a high-maintenance runner. Before the run, which is why I am looking so fresh and the streets are strangely empty. The second hilly nemesis loomed just before the finish. And although we were rewarded with an amazing downhill stretch into the town and across the finish line, the hills had wreaked their havoc. Luckily there was beer on hand as a reward. Well earned, I say. 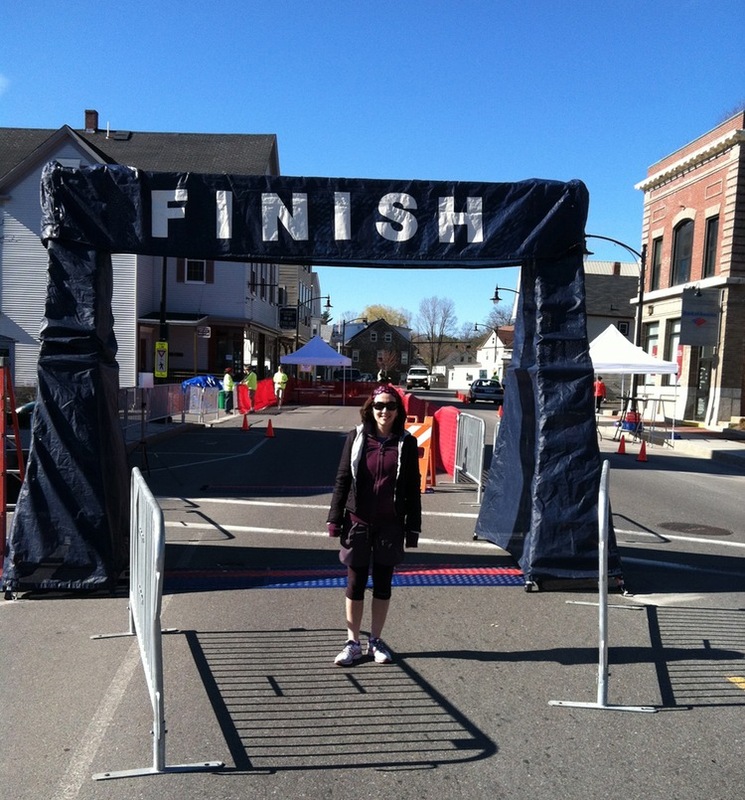 My difficulties were trifling compared to those of the half-marathoners. Hubby reported that the course was one of the most challenging he had run, with ups and downs ad nauseam over the full 13.1 miles, and a decent headwind thrown in for good measure as they ran along the water. I’m so very, very glad I’m not at the half stage yet. Fifteen runs down, 37 to go. It’s a long, forbidding road ahead. 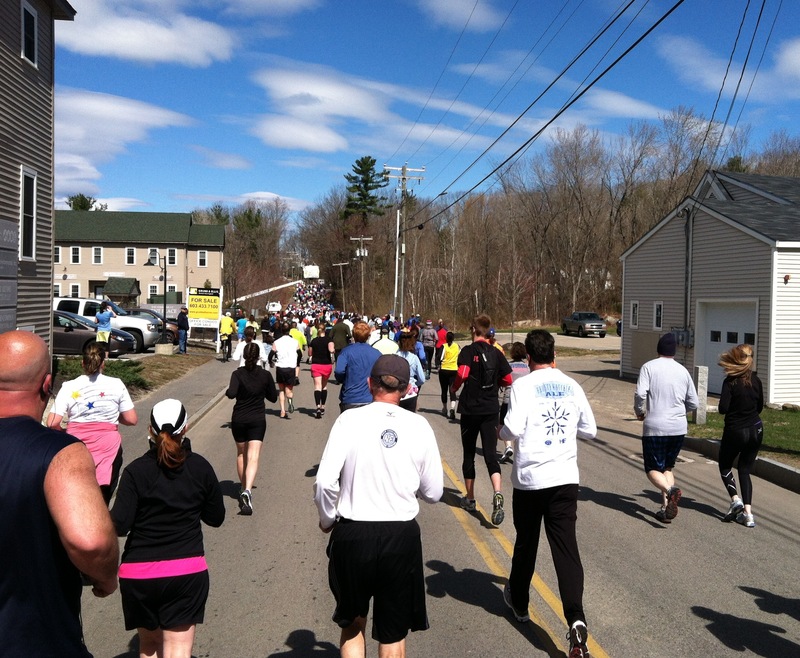 This entry was posted in 52 Weeks, 52 Runs, Fitness, Humor, Running and tagged 5K, half-marathon, New Hampshire, running uphill. Bookmark the permalink. Sorry I missed you! You are right-that was the most challenging course I have ever done! You know what though? We DID it!!!!! Rock on girl! Woooooo! Can we get a fanfare over here? Congratulations for smashing your PR, that’s amazing! And has a reward for the PR, you are now sporting a GPS watch! Fast times ahead, just watch this space. Great recap! I ran the course last year, which at least prepared me for those two terrible hills! The one right before the finish seriously crushed my spirits, but thankfully the theme song from Rocky came on my ipod just in time to carry me to the finish! Nice work, see you at the next one? Good work! Your husband sounds like a bit of a speedster too with 1 hour 40 for a half-marathon – go power couple! Thanks!! Yeah, he is pretty speedy, although he always wants to go faster! 🙂 I wish I were anywhere near as speedy as him. But it would take some kind of miracle. Good luck on shooting for a half!! Go youuuu! If I ran that course, I’d be lucky to even finish! How much worse was it than the Feaster Five hill? That hill wasn’t even that steep, just never ending! Congrats to you! There should be a law against hills at the end of the race. No hills for the last mile…is there a series like that anywhere? I’m with you. If there isn’t, there should be!